Designed with parenthood in mind. Sitting up means baby can engage more in playtime, join you at the dinner table, and take in a whole new view of the world. Baby Base 2-in-1 does just that. 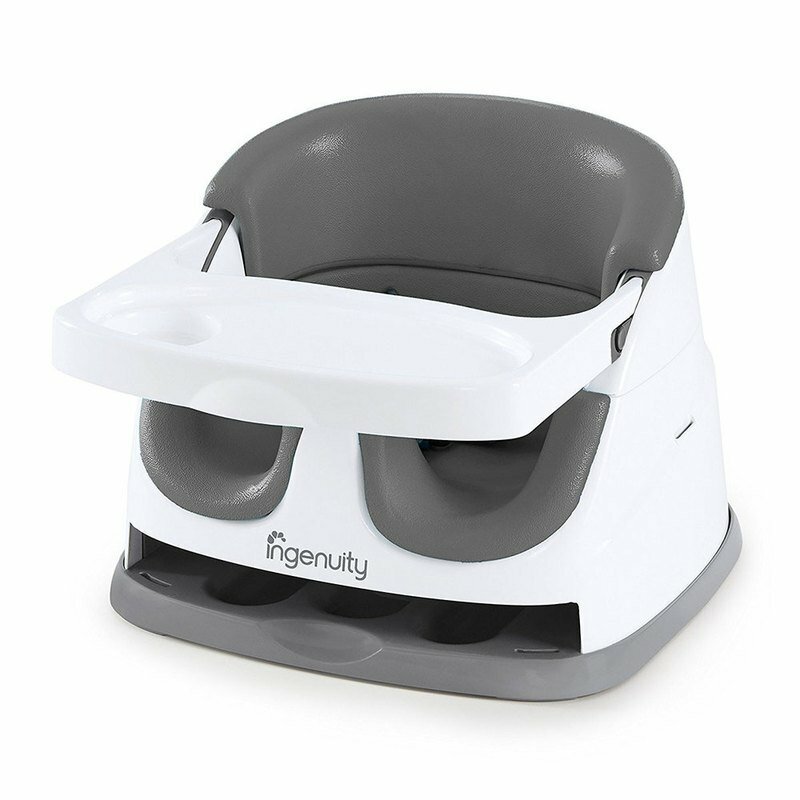 With 2 modes of use, the Baby Base 2-in-1 is designed for use on the floor, or it can attach safely to a dining chair for use as a booster seat - making it perfect for playtime, dinner or travel. There is a 3-point harness for safety. The Baby Base 2-in-1 comes with its own tray that conveniently stores beneath the seat for easy storage and transport, so you won't lose it or have separate pieces to keep up with. The foam insert provides extra cushioning for baby and can be removed so the seat will remain comfortable as baby gets bigger.